Roma Rafting® - The adventure that you do not expect, in the heart of Rome! The adventure that you do not expect, in the heart of Rome! Fun, nature, history, adventure: choose the most suitable river to you! The route passes through Rome starting from the ancient Ponte Milvio, it goes down on the river, playing on some white water rapids, away from noise and traffic. The landing is in Trastevere. Rome as you’ve never seen it! Very quiet descent at the gates of Rome, in the territory of the Tenuta del Cavaliere. The river flows lazily in the Roman countryside and often ducks, coypus and herons accompany us on the way down. Path particularly suitable for children and families. First in Rome! With us the Eternal City as you have never seen! Former President of CKR Assex, coach and instructor FICK, Head of the National League Acquaviva UISP, awarded by CONI with the Star for Sporting Merit. He is the driving force and the instigator of this group of friends and experienced guides. Along with Gianni he is the founder of this group. 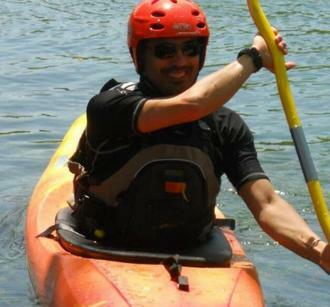 For about 30 years loves to go by rivers, has been discreet athlete of slalom and canoe polo, is canoeing and kayaking instructor (FICK) and rafting guide (USIP – FIRAFT), BLSD. Character sometimes gruff and practical spirit. 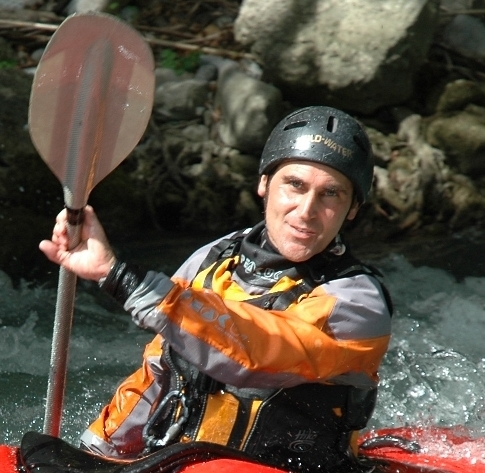 Canoe/Kayak instructor (UISP) rafting guide (UISP-FiRAFT), a great expert of the river Tiber, for years responsible for the safety of the DIT (International Descent of the Tiber by canoe). 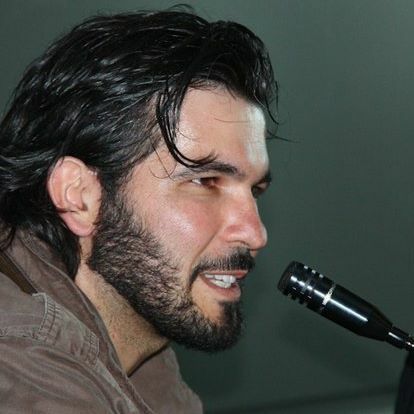 He is a perfectionist and loves to talk about the river and the city of Rome. He and the river: one thing. It all started with Yoga, Speleologist, lover of outdoor activities, rafting guide (FIRAFT) of great experience, kayak Instructor (FICK). At ease with adults and children, lover of extreme sports… and good food, always has a smile and a joke ready for all! Since he was 12 years old the canoe is his favorite sport (canoe pole, river, rodeo, slalom, upper course). Great expert of rivers. 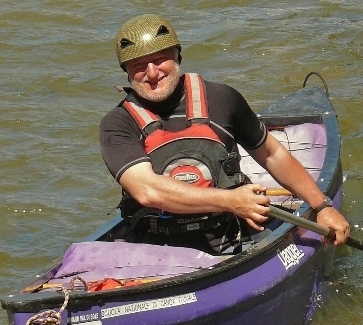 Canoe instructor (FICK), rafting guide (UISP), Rescue 3 Swift Water Technician.